Alphabet Energy has developed technology that generates electricity from heat, in the same way that solar panels generate electricity from light. From factory chimneys to car exhausts, much of the waste heat produced could potentially be harnessed as a source of power. Alphabet’s platform thermoelectric chips are solid-state semiconductors, initially based on breakthrough silicon nanotechnology but capable of using other materials. They generate electricity cleanly, using few or no moving parts. 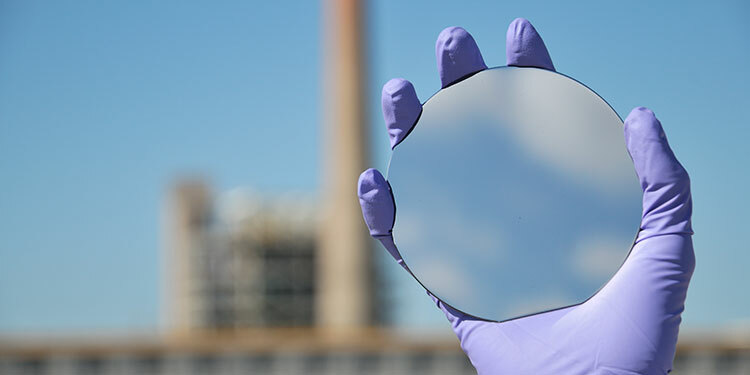 At the heart of the technology is a material that can withstand extremely high temperatures to generate electricity. Alphabet’s first product – scheduled for launch within a year – will generate electricity from the waste heat produced by diesel generators that power extractive operations in remote locations, and by furnaces in heavy industries such as refining, smelting and ceramics. It promises to enable wells, mines and industrial plants to use significantly less fuel. Alphabet is also working with partners in a variety of sectors to use its technology as a platform for delivering greater efficiency. In the automotive industry, for example, early simulations suggest that electricity generated from the heat that escapes through exhausts could enable cars to use around 10% less fuel. Efficiency savings are also likely in aerospace, maritime and any other sector that produces waste heat. Thermoelectrics could even be embedded in clothing to generate power from the heat produced by a human body. This offers the possibility, for example, to keep a mobile telephone charged through the heat a person generates while hiking in the wilderness.